Gartner's leader archive solution, Smarsh is now available in South Africa, Robinson Distribution partners with Smarsh to bring a comprehensive archive solution to their clients. Network security company, WatchGuard Technologies, has launched its new AP300 that aims for secure wireless access. It was designed to work alongside the company's Unified Threat Management (UTM) Firebox appliances. WatchGuard said the AP300 offers the 802.11ac standard and fast roaming to improve quality for VoIP devices and fast handover and band steering that aims to move devices to the clearer 5GHz band. “Unfortunately, hackers are also constantly trying to gain a foothold into the network. Businesses that fail to properly secure their Wi-Fi networks, including guest hotspots, may expose customers, partners and internal users to a variety of risks,” he continued. AP300 product informationAP300 InfoGet more information on the AP300! The Ivanti Patch for Windows Servers console must be installed on one of the following 64-bit operating systems: Windows 7, 8.1, 10, Server 2008 R2 or 2012 R2. Ivanti Patch for Windows Servers requires access to a Microsoft SQL Server database (SQL Server 2005 (Full or Express Edition) or later). If you do not have a SQL Server database, the option to install SQL Server 2014 Express Edition will be provided during the installation process. For years, Apple users taunted Windows users for all of the malware and security vulnerabilities that plagued the various Windows operating systems. Well, things have changed a bit. Mac OS and iOS now have more vulnerabilities than Windows. The tabulation comes by way of CVE Details (Common Vulnerabilities and Exposures), which draws on security vulnerabilities reported to the National Vulnerabilities Database, which is run by the U.S. government. The start of the new year brings with it the prospect of many exciting new opportunities, and as the past has proven, the security threat landscape will constantly change and present new information security challenges ahead. 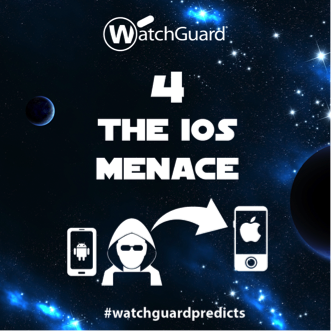 Come explore the universe below and visit galactic hotspots for insights into WatchGuard’s 2016 Security Predictions. Each day we will unlock one new security prediction per business day for 10 days starting on Thursday December 3, 2015. The security predictions highlight new and emerging information security trends that criminals may deploy, using old and new methods to expand reach, exploit users and gain access to valuable data. For more in-depth analysis on these security predictions and Daily Security News Bytes year-round, please visit the WatchGuard Security Center blog. Also have a look at Watchguard firewall products range. Pretoria 06 January 2016 – Avira a marker leader in best-in-class antivirus protection announced the appointment of Robinson Distribution as distribution partner for Africa. “We are fortunate to be associated with such a market leader in the antivirus industry and we know this will benefit our customers and partners” says Dirk Robinson, Manager at Robinson Distribution. 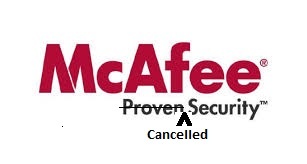 If you are a McAfee business customer you probably already know that McAfee (Intel Security) will stop selling a number of its email security products in 2016 but existing customers can continue renewing their subscription and receiving support until 2019. What to do now? You will need to move to an alternative solution for your email filtering and perhaps you don't want to move to the solution McAfee recommend. Why not consider SpamTitan ? 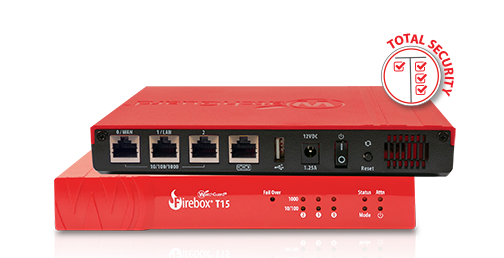 SEATTLE - February 23, 2015 — WatchGuard® Technologies, a leader in multi-function integrated security appliances, today announced the release of the company's highest performing Firebox® M4600 and M5600 Unified Threat Management (UTM) appliances. In addition to top performance, WatchGuard's M4600/M5600 firewalls offer flexible port modularity, and redundant power supplies, making them a perfect fit for organizations with larger and often dispersed environments that require fast speed and flexibility, such as distributed enterprises. Top performance paired with speed, flexibility, and affordability makes these appliances ideal for taking the lead in distributed, hub-and-spoke type deployment scenarios. Typically deployed at the corporate headquarters, these appliances serve as the "hub" appliance, responsible for managing and securing all communications between the head office and all remote employee and small business sites.